Every once in a while I take a detour from my photography to explore other artistic fields in order to stay creative, confront myself with new and challenges ideas. Those projects are a part of my creative and playful nature which I try to use in cross disciplinary ways. Phoesy is poetry made by using a phone and its auto suggested words when tweeting or texting. Start a poem by choosing a word or topic you would like to write about. After that you can only select from the auto suggested words to create a meaningful sentence. The idea behind Phoesy is to express yourself in a relevant way by using the limited amount of options given to you by your smartphone. The auto suggested words are a combination of your vocabulary used when communicating with others, as well as preset suggestions created by your phones software. Often the outcome of a poem created by using the phoesy method is rather positively surprising due to its spontaneous and unpredictable nature. Let yourself be carried away by your subconscious mind and the help of a device you already use on a daily base and start writing honest and fresh poetry. 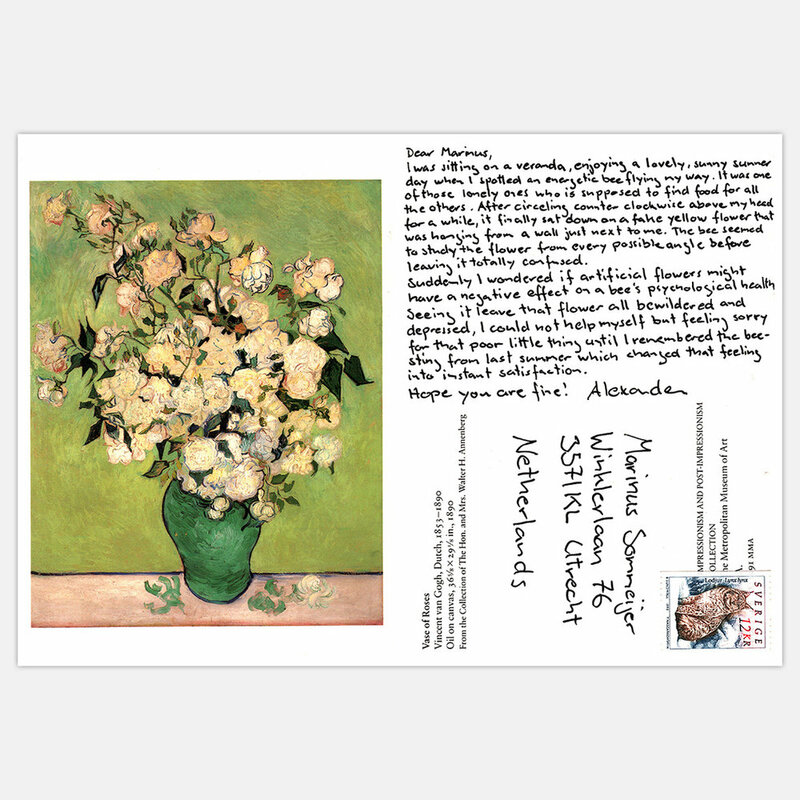 Mail Trail is an artistic project where postcards, containing personal reflections, are being sent on a journey to complete strangers anywhere in the world, with the hope that they will or might develop further in someone else’s mind. 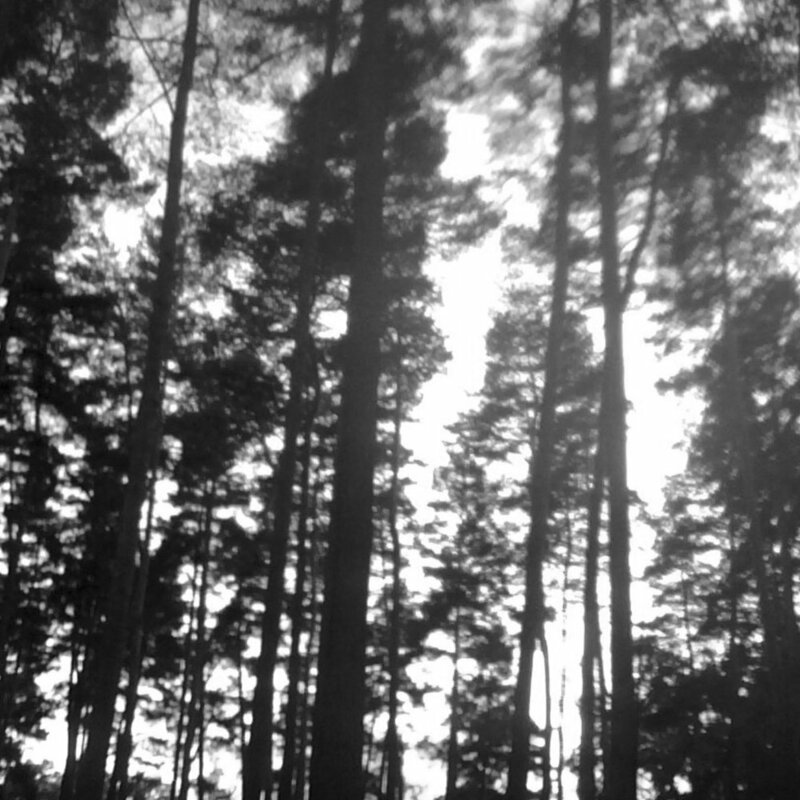 Let me lose myself is an invisible exhibition hosted in the multivalent, unique cultural heritage site that is the Woodland Cemetery in Stockholm. The site-specific sound artworks have all used the space as a point of origin in different ways. The audience is taken on a journey beyond the geography of the place, a journey where new interior and exterior pathways are activated. The sound art pieces are downloaded onto a mobile phone or an mp3-player, making it possible for the visitor to explore the space and the exhibition independently and at his or her own pace. The number of episodes will gradually increase from the beginning of the project in May 2011 up to its close in December 2013. By adding new layers of sound art over a longer period the project echoes the way the cemetery was built by the architects Gunnar Asplund and Sigurd Lewerentz in various stages and over many years. 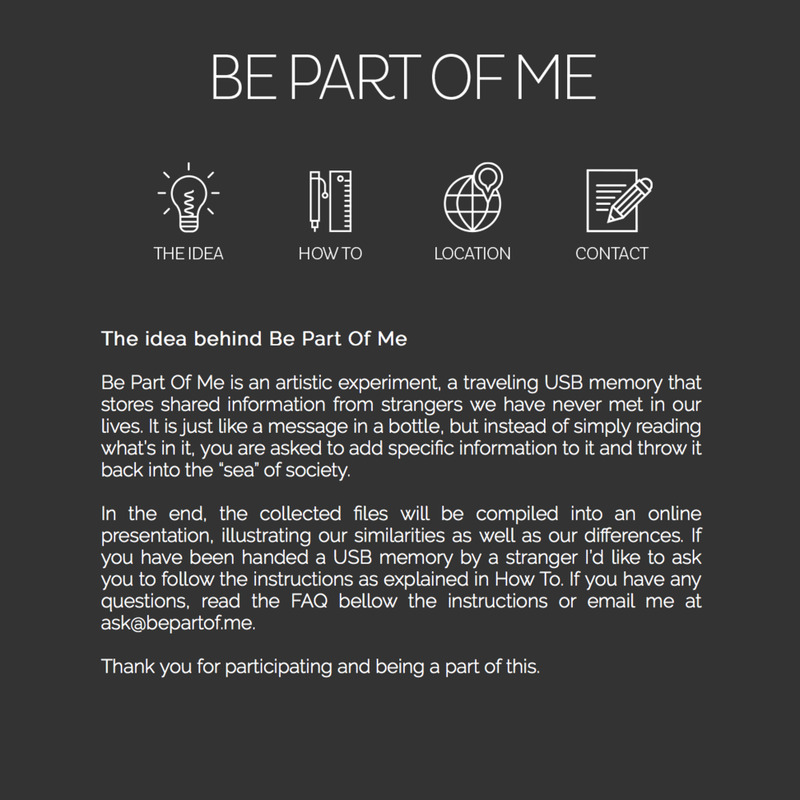 Be Part Of Me is an artistic experiment, a traveling USB memory that stores shared information from strangers we have never met in our lives. It is just like a message in a bottle, but instead of simply reading what’s in it, you are asked to add specific information to it and throw it back into the “sea” of society. Detourism was a unique curatorial project working with video art projections that cut through the city architecture to quietly disturb the everyday urban rhythm. The artworks, in conjunction with the carefully selected locations, offered alternative routes out of the physical sphere we all share. Detourism as an activity, challenged and encouraged the individual to break out from the self constructed landscapes of reality and open temporary doors to the unfamiliar - if only for a split second. 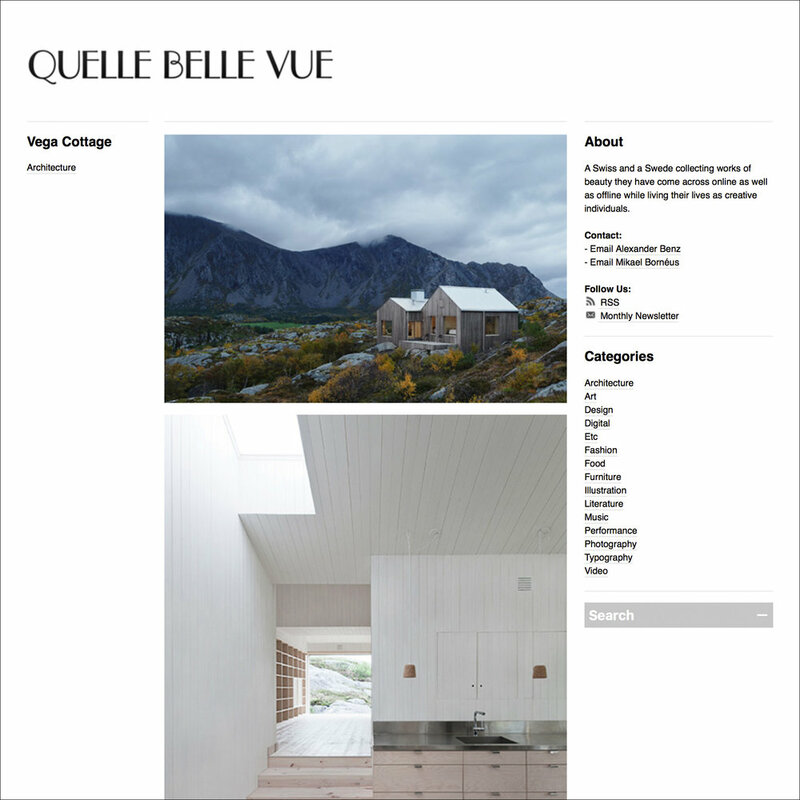 Quelle Belle Vue is an art/design/architecture blog showing a collection of works of beauty I have come across online as well as offline while living my life in Zurich, Stockholm, New York and Paris.